What’s the best way to insure your rental property, cottage, or seasonal home ? We are often contacted by people who want to insure just a rental property (usually a rental condominium unit, residential home, duplex, triplex, etc), or a cottage. 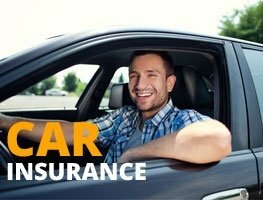 The caller asks for a quote, and usually that means the consumer is shopping around and looking for the best value on their insurance. But where do you go to get the best value on insuring additional properties like cottages, rental properties, and rental condominiums? 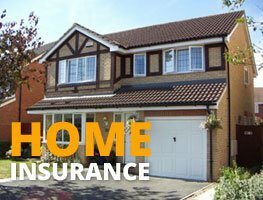 The best place to look, and often the only place you should look is the same insurance company that insures your principal residence. Most insurance companies will only insure a rental property, cottage, seasonal home, etc if you insure your principal residence with them. Their rules clearly state this. We work with some insurance companies that will insure ONLY rental property or cottage/seasonal home, but their rates are going to be more expensive than the package policy you can get for insuring them with your principal residence. But what does this mean to you? What if you don’t own a principal residence ? Last week, one of our long time car insurance policyholders was purchasing his first home. But he was going to rent it out for a while – he lives with and is a caregiver for his mother who has alzheimers. She owned her home, and it meant he had no principal residence to insure. When we looked at insuring just the rental property on it’s own, the premium was over $2000 for the year – too expensive for our client. We went to work and negotiated a package policy for him with his car insurance company. By insuring a tenants policy for him (as a ‘tenant’ in his mothers house), we were able to insure the rental property for only $900. Better value for him, and we did a good job looking after one of our customer’s needs. When you are reading this article, you might think that $900 is still expensive for insurance a rental property. That’s because rental properties, and most cottages and seasonal homes aren’t eligible for the same discounts that your principal residence is. If this rental property was Brian’s principal residence, after applying the non-smokers, new home, claims free, and multi-policy (for insuring his automobile with the same company) discounts, Brians premium when he moves into this home would reduce to only $550 for the year. Much more reasonable ! So the moral is, when you are looking to insure your rental property, get a package policy quote that includes your principal residence and cars. 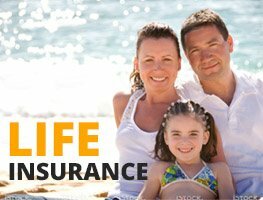 You’ll get the maximum discounts possible and the best value for your insurance.